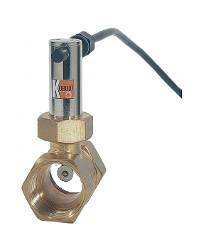 KOBOLD DF Paddle Wheel Flow Sensor (with multipole magnet ring embedded) for Water and Low Viscosity Liquids. Brass, Stainless, Trogamid, Polysulfone or Polypropylene Bodies. Robust and Reliable. ± 2.5% of full scale accuracy. NEMA 4. 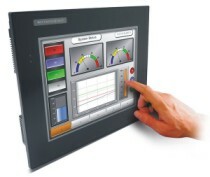 The main feature of the DF fl ow sensors is the incorporation of a multipole magnet ring embedded into the paddlewheel. As the paddle wheel rotates, the magnets, hermetically separated from the liquid media, induce a DC signal into a Hall-Effect sensor mounted on the device housing. Since the DC signal frequency is proportional to paddlewheel rotation, an accurate fl ow rate reading is possible. 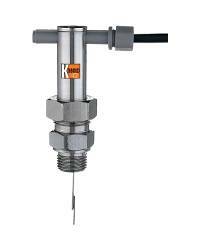 The DF sensors, when coupled with the appropriate KOBOLD electronics unit, can offer the user a number of features useful in the measurement and control of low viscosity liquid fl ow. 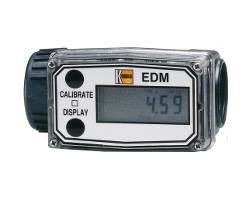 These features include a frequency output, analog output, adjustable switches, digital displays with integrated batch controllers, or totalizers. The KOBOLD DF Flow Sensor is used in applications where fl ow measurement is desired and fl ow rate data is to be transmitted as a pulse rate output. 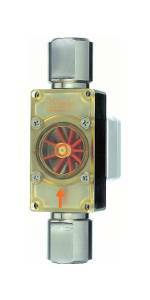 The DF Flow Sensor contains a fl ow transducer which transmits a pulse signal. The output signal is linearly proportional to the fl ow and is transmitted by a bipolar transistor operating in an open collector confi guration (10 mA sinking capability). Signal Output: NPN - Open Collector 10 mA max. > SENSORS > WEATHERPROOF NEMA-4 : 3 Items found.